Linking England, Germany, Poland and Finland schools to promote healthy lifestyles and understanding of our international neighbors. To learn more, click here. The delegation visited with teachers, observe lessons, and meet students. We spent our time in the town of Herne. Herne has been a mining community since the Roman age! 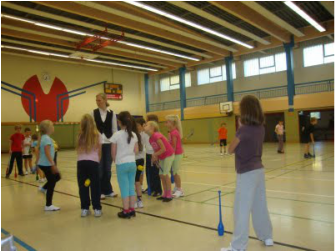 Our partnership is centered around developing healthier lifestyles for children in all countries! 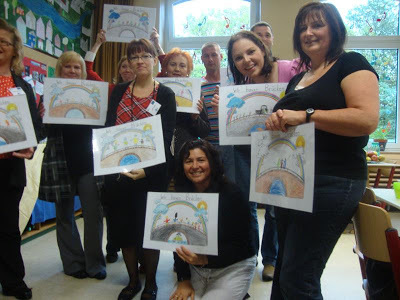 We spent 4 days getting to know and work with teachers from Finland, Germany and Poland. 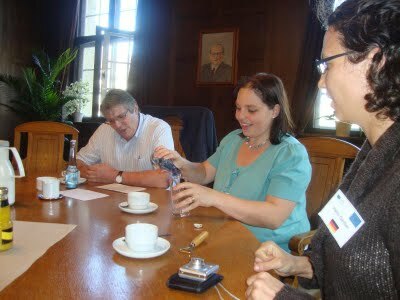 Our primary language of communication was English, although each delegation had people fluent in German as well. Our hosts set the foundation for, what will sure to be, 2 amazing years of learning, discovery and fun! 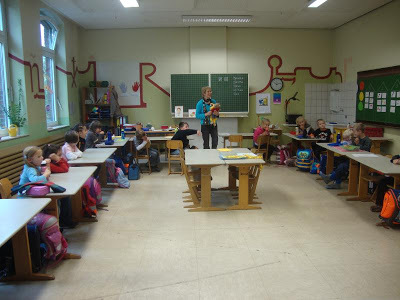 We found each classroom had different ways to set up the desks, but many had a centre table for pupils to come when they want help from each other or their teacher! 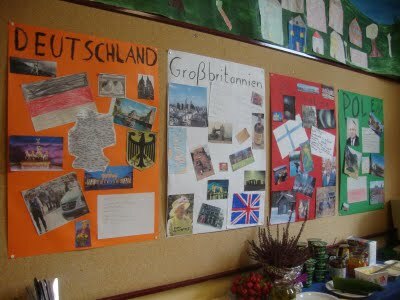 The pupils of Germany created posters highlighting facts from each Comenius partner. We study much of the same subjects...although they can be grouped together differently. 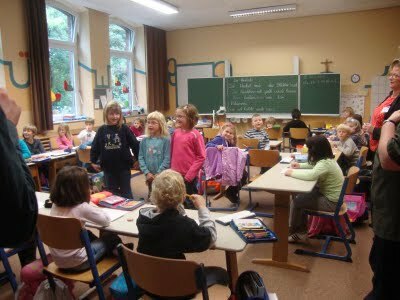 In Germany, children start learning English in Year 3 and we teach our students, in England, French. Back in school, we found that our countries share excitement for some of the same authors and stories! Our Year 1/2 and their Year 1 both read the Rainbow Fish! We were greeted by the Mayor, who gave us a warm introduction to the culture, lifestyle , politics, education and economics of Herne.